Walk West worked with EndureLash® creator and founder, Nikki Huebner, to develop an e-commerce website for her fast-growing company. 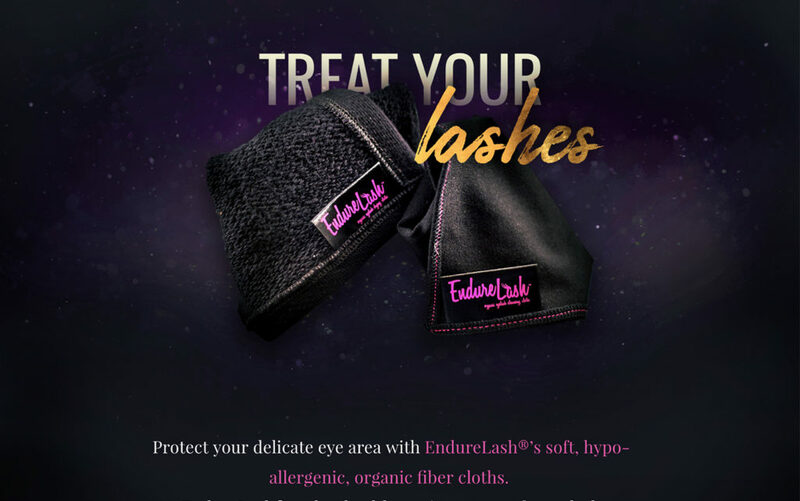 Interest and sales for the first two products – an organic eyelash drying cloth and an eye makeup removal cloth – were taking off and Nikki needed a savvy digital presence that matched her upstart brand. Before all else, we needed to identify what e-commerce platform would work best for EndureLash. Walk West put significant research into Shopify, WooCommerce, BigCommerce, Magento, and Volusion to find the right fit. We also needed to show the products in action, as both were new ideas in the beauty space. Our video production team was called in to create a series of demonstration videos featuring the inventor and customers using and reviewing the unique products. After significant research, Shopify won out as the solution that would best fit the company’s needs, over all other platform contenders.Thanks to the ease of use and available plugins on the platform, Walk West was able to design and build a custom Shopify website that was as beautiful as it was high-performing, while meeting the business needs of the growth company. In addition to the website and video production, we still had to get the word out on these products, so we looked to micro-influencers in the health and beauty space to promote the brand. To accompany Shopify, we selected Doubly for handling multiple currencies for international wholesalers, and Shippo for providing seamless management of inventory and distribution, while also simplifying management of wholesale and retail relationships. 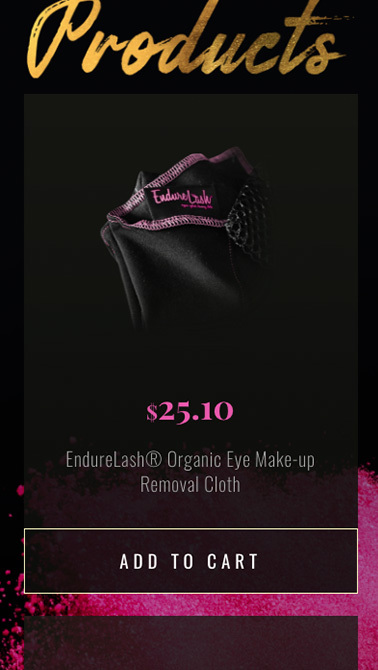 The EndureLash website solved the issues of a rapidly scaling business, while still being a true expression of the brand that the founder envisioned.